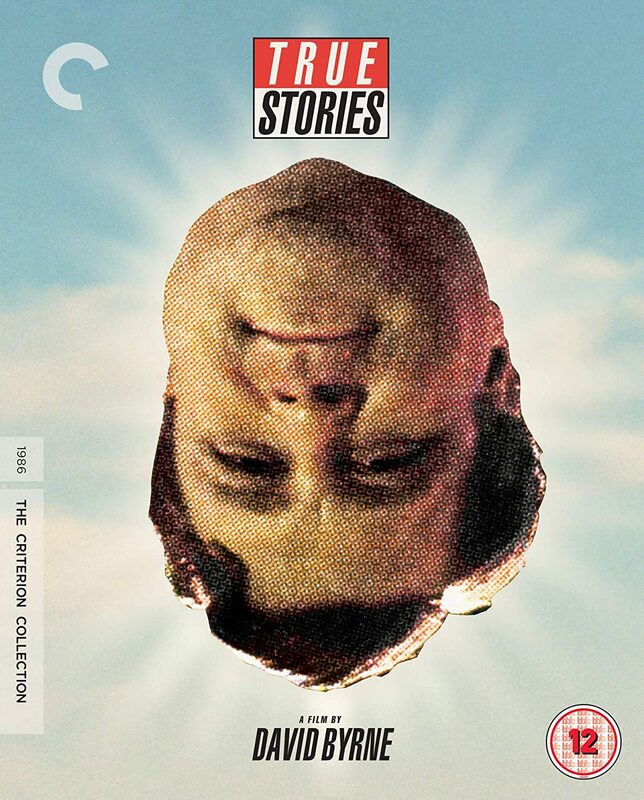 'The Criterion Collection' have recently released a digitally re-mastered edition of the 89-minute musical comedy, 'True Stories'. It was directed by David Byrne, it starred David, John Goodman, Annie McEnroe, and Jo Harvey Allen, and it comes with a selection of very special features. This includes three new documentaries, a CD containing the film's complete soundtrack, a then and now film location comparison, deleted scenes, a visual essay, and the original theatrical trailer. Please enjoy. Howdy, partner. 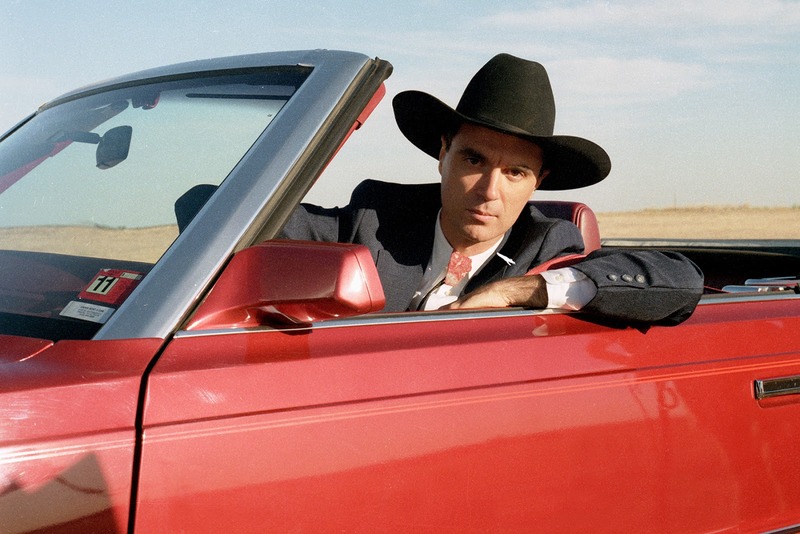 My name is Nar, Nar Rator (David Byrne), and I’d like to introduce you to a great town I discovered during my trip across America. It’s called ‘Virgil’, it's located in Texas, and in my most humble opinion, I think it’s a great place to stay if you love good old fashioned Southern hospitality. After all, there's a broad range of people living here, ranging from the young to the old, and they’re all currently getting ready for the up-and-coming ‘Celebration of Specialness’. 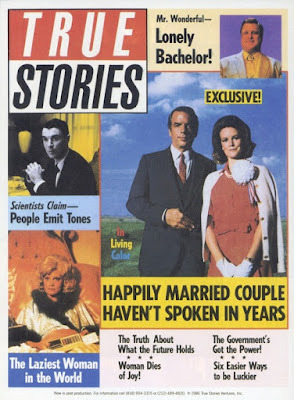 Now, some of the nice folks who'll be in attendance, includes, Louis Fyne (John Goodman), a country-and-western singer looking for love; Kay Culver (Annie McEnroe), a very nice young housewife who’s pretty good at designing outfits; as well as Ramon (Tito Larriva), a Tejano singer who claims to be clairvoyant. Admittedly, I could also mention a number of other people that live in Virgil, like Miss Rollings (Swoosie Kurtz), for instance, who’s a rich millionaire that never leaves her bed. Or alternatively, her personal assistant, Mr. Tucker (Pops Staples), who specializes in practicing voodoo. But hey, if I did that, then what next transpires may never sing, sing, sing. As a parade is full of cheers and chants – a group of women just love to dance – practical magic leaves it up to chance – and at the end of the day, please remember, music be the food of romance. 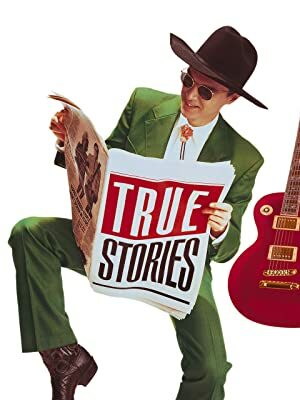 Now I know this may sound like a silly thing to say, but to me, ‘True Stories’ reminds me of a music video if it were directed by Wes Anderson. Visually, at least, because on a purely aesthetic level it does mirror a number of traits usually featured in one of his films. This includes things like a nicely framed image, a mannered style of acting, as well as a selection of appropriately composed songs, sets, themes, costumes, and props. But more importantly, it also tells a story, a fairly straightforward story, that isn’t very apparent until most of the characters have been established. Well, between you and me, this is the type of film that flows like a travelogue but plays out like a musical, even though it does attempt to tell a tale somewhere in between. However, the approach it takes in telling this tale is sometimes hindered by these two aforementioned factors: What with the musical sequences slightly overshadowing a clear narrative, whereas the numerous skits, interludes, and segues, detract from it as well. You see, in fairly broad terms, one part of the plot was focused on a character played by John Goodman, named Louis Fyne, who is trying to look for love in all the wrong places. Not deliberately, mind you, and always with the best of intentions. But in all fairness, he does come across like a pretty desperate character, despite being fairly down-to-earth at the same time. In fact, he seems so down-to-earth, I’m sure I would have enjoyed this film a lot more if he pushed the plot forward, rather than the narrator character, as played by David Byrne, whose inclusion sometimes confused things. Not always, of course, and I do say this with all due respect. But, if truth be told, I normally like to watch a film that can define itself -- thematically, at least -- instead of making me try to second guess it’s genre the longer I watch it. I mean, in all seriousness, was this film supposed to be a mock-documentary? Or a comedy-travelogue? Or a long-winded music video with an avant-garde edge? Because to me, personally, I think it’s all three of these definitions -- rolled into one -- spread out in fairly uneven doses from beginning to end. As it's funny, it's informative, it's picturesque, it tells a tale, and it sings quite a few melodic songs in the process. Now a good example of this jumbled narrative can be seen at the start of the film, when David’s character, the narrator, initially looks like the main star of the show, not Louis, John's character, largely due to him breaking the fourth wall and setting up most of the story. But then, as the film begins to progress, we slowly find out that John is the real star of the show, not David, because he’s looking for love while David comments on their mutual surroundings. Which, I must admit, may sound fine, up to a point, but doesn’t really work within the confines of this visual structure because it meanders back and forth, back and forth, between song, plot, and narration, in such a fastidious fashion, that sometimes it’s difficult to tell what is important to the story and what is pure entertainment. And trust me, this film is entertaining, very entertaining, and is complemented by a very vivid style that’s panoramic, bold, and dynamic to watch. Similar, in fact, to the visual style illustrated in the films made by the aforementioned Mr. Anderson! Anyway, that’s enough of that for the time being, because now seems like a pretty good time for us to sit back, relax, and check out the following filmic facts: (1) 'Warner Bros.' first screened this production on the 4th of October, 1986, at the New York Film Festival, and they eventually clawed back two and a half million dollars at the Box Office. (2) According to Stephen Tobolowsky, he wrote this film based on a series of drawings David Byrne illustrated while he was on tour with his band, 'Talking Heads'. As soon as he showed them to him, David asked Stephen, "What if all these stories were true? ", before asking him to write a script derived from these drawings. Which he did, eventually, only for David to then rewrite it a year later, doing so by amalgamating Stephen's script with a selection of news articles! (3) Loosely translated, this project was entitled 'Real Stories' in Brazil; 'Serious' in Estonia; and 'Texas Lost Virginity' in Hungary. (4) At David's bequest, there were fifty sets of twins featured throughout this film. (5) The majority of this movie was shot on location throughout the American state of Texas. This includes Dallas [NorthPark Center Shopping Mall], Allen [Varicorp Assembly Line], Mesquite [Lyndon B Johnson Freeway], McKinney [The Parade], Irving [Varicorp Test Facility], Red Oak [The Children's Chorus], and Hewitt [Puzzlin Building]. (6) One of the taglines used to promote this picture, states: 'A Completely Cool, Multi-Purpose Movie'. (7) The English rock group, 'Radiohead', took their name from one of the songs featured in this film. Can you guess which one? (8) After this flick got married and divorced, David Byrne starred in the music video, 'Wild Wild Life'; John Goodman starred in the crime-caper, 'The Big Easy'; and Annie McEnroe starred in the financial-drama, 'Wall Street'. Now in closing my review for ‘True Stories’, I’d like to draw your attention to some of its more desirable and entertaining qualities. Namely, some of the songs that were performed throughout its telling and some of the actors who were on display! 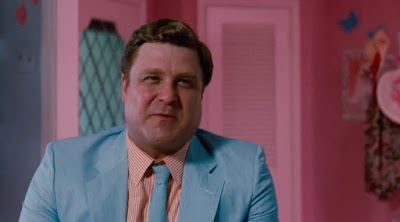 Please note, though, I did say some, not all, simply because those that were good, were really, really, good (John Goodman, Annie McEnroe, and Jo Harvey Allen), whereas those that were bad, were really, really, bad (say no more). Although, come to think of it, sometimes a person's taste can be somewhat subjective, very subjective, so who’s to say for certain if something is truly funky (Papa Legba), truly wild (Wild Wild Life), truly catchy (Hey Now), or truly emotional (People Like Us)? Not me, that’s for sure, as you will never catch me trying to tell you that what I like is a lot better than something you like. No! Never in a million years. Heck, the best you can get out of me is to maybe point you in the right direction and hope for the best, wink-wink! Know what I mean? So, on that note, I just like to say that this film was a pretty decent film, in part, and I would only recommend it to people who like ‘Talking Heads’, artistic avant-garde productions, musical travelogues set in Texas, and maybe, just maybe, films made by Wes Anderson.